This fall, Wright-Way Rescue partnered with Best Friends Animal Society to help them save 800 animals before the holidays. We accepted a transport of 40 animals from Texas. We took on a new challenge: help them save 75 DOGS to find homes for the New Year! Where are these animals coming from? This transport of homeless pets came from Palm Valley Animal Center in Texas, which is overlooked and sadly has a 70% euthanasia rate. Without Best Friends' help, these animals would have been euthanized. This area has many homeless puppies due to a number of contributing factors, including a shortage of low-cost spay/neuter services; a very rural, agricultural population that regards many types of dogs as ranch and farm hands; and high levels of poverty. I’m interested in fostering. How do I get started? The next round of 75 dogs still need fosters! If you are interested in fostering, please fill out a foster application. We do our best to set each foster parent up for success with his or her individual circumstance. Even if you don't have fostering experience, our Foster Coordinator provides training and support for all foster parents. I’m interested in adopting one of the animals from Texas. What are the next steps? Please fill out an adoption survey on our website. Once approved, please call our Adoption Hotline at (847) 728-5434 Option 2 to place a reservation for a specific pet you’d like to adopt. Why save animals from Texas? Texas kills 25% of the homeless pets in our country, so we knew we had to accept this partnership to save lives. This transport is above and beyond our normal efforts, so Wright-Way Rescue's volunteers are still saving animals from our rescue partners. That is why we need your help to save them! I'm on the fence about fostering. How can I ask questions? Our Foster Coordinator Chris would be happy to take your questions. You can reach her at foster@wright-wayrescue.org or by phone at (847) 728-5434 Option 2. 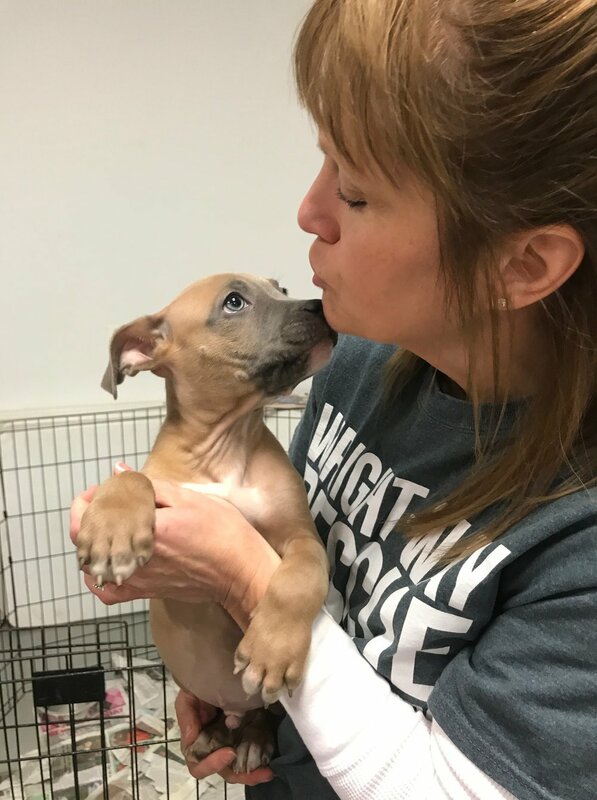 If you cannot foster but would like to help provide funds for foster materials, please consider making a donation to Wright-Way Rescue.